EASY TO USE! 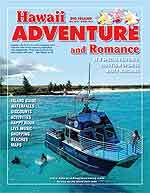 – FREE Maui Coupon Book – We’re the little yellow coupon book! Cruiser Phil’s Volcano Riders offers downhill bicycle tours, which is seamless operation, which runs daily. Their #1 priority is your safety and fun. The National Park Service did an incredible job with the safety analysis report. You can view the report in full, entitled “National Park Safety Study” or by going to www.nps.gov/hale. Cruiser Phil has been in the downhill bicycle industry since 1983 and is a known proponent for the Maui Bike Industry having helped bike companies make advances in tour procedures throughout the years. Cruiser Phil’s Volcano Riders have been offering safe bike tours down Haleakala for many years with a variety of different tour options. Come enjoy breathtaking views and the thrill of adventure with the experienced Cruiser Phil’s Team. You’ll take a Luxury van tour from the summit of Haleakala National Park then coast 28 miles from the 6,500′ elevation, down Haleakala Volcano descending to historic Paia at sea level. Enjoy fresh outdoor air, views to make your heart pound, and hairpin turns to make your heart race. 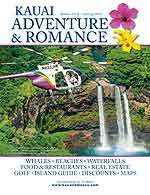 Their four tours include hotel pickup and drop off, guided van tour of the summit of Haleakala with bike ride beginning outside of the National Park at the 6,500 foot elevation ending in Paia Town. They provide bicycle, helmet, gloves, wind suit, and winter type jacket. Coffee and snacks provided at base yard prior to tour. No-host meal stop in either Kula or Paia Town at the discretion of the crew and/or group. Cruiser Phil’s Volcano Riders proudly announces our new Structured Independent Bike Tour, which is structured ride that provides one guide who will oversee their guest’s descend from start to finish. For booking check out their website www.cruiserphil.com or please call them toll free: 877-764-2453 or e-mail them at: info@CruiserPhils.com if you have any questions.